Marcell Ozuna's .289 batting average dropped to .249 from June 12 to July 5. It was that day when the Marlins decided to drop Ozuna to the minor leagues. The move was somewhat surprising for the struggling team as they needed any proven bat they could have in the offensively-challenged lineup. However, to some, it's more of a surprise that Ozuna is still with the Marlins minor-league affiliate in New Orleans almost three weeks after being demoted. As of July 25, Ozuna was hitting .353 with 2 home runs in 51 at-bats for the Triple-A team. Meanwhile, the major-league team is without its two best bats in Giancarlo Stanton and Dee Gordon because of injury. 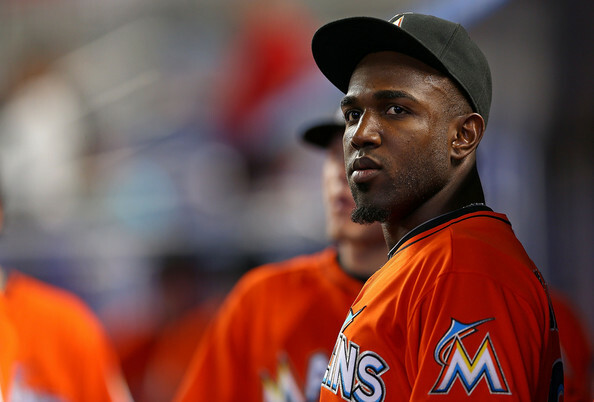 There could be two reasons the Marlins haven't called upon Ozuna again. The team may want him to continue to work out any kinks they feel are necessary before he rejoins the big-league club. The other reason may be the arbitration clock. Players need to be on a major-league roster just under three years (2 seasons plus 130 days) to begin the arbitration process, as explained by the website Fangraphs. Entering this season, Ozuna had one year and 153 days of service time. To reach arbitration status in 2016, Ozuna would need to be on the Marlins 25-man roster for about 149 days this baseball season, which began April 5 and ends October 4. Ozuna currently sits at two years plus 73 days of service time, according to my calculations. That number puts Ozuna about 57 days shy of qualifying for arbitration. Going into tonight's contest at San Diego, the Marlins have 72 days remaining in their season (65 games, 7 days off). For Ozuna to qualify for the automatic, bigger paycheck next year, he'd have to be back with the team by August 8. It should also be noted, according to rules, if Ozuna was recalled within 20 days of being sent to Triple-A, he would have received credit for major-league service time even while in New Orleans. During my weekday radio show on 940-AM WINZ and iHeartRadio, I asked Marlins' MLB.com writer Joe Frisaro if Ozuna was being "punished." Frisaro pointed out "the business of baseball." It should also not be forgotten how Ozuna turned down a reported contract extension in March 2015. Ozuna said his agent Scott Boras told him "don't hurry. Be waiting for the moment, and let's see what happens in a couple of years." Did Boras and Ozuna irk the Marlins to a point where the team will make him wait an additional year for arbitration and free agency or is it solely Ozuna's mechanics and not the business of baseball that are keeping him on the farm?